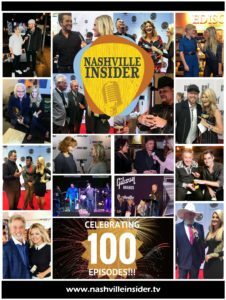 Now you can watch full episodes of Nashville Insider on Country Road TV , and see other great shows as well. Country Road TV is a brand-new TV network based on country values – home, family, fun and friendship – with already more than 700 hours of amazing country music shows, Americana lifestyle shows, gospel and more! New content is added every month, and you can watch it on your computer, phone, tablet, or TV! Check us out on www.CountryRoadTV.com for a free 3-day trial. SPECIAL OFFER! for the first 100 people to subscribe, using the code INSIDER, you’ll get 20% off your monthly subscription as long as you’re a subscriber.